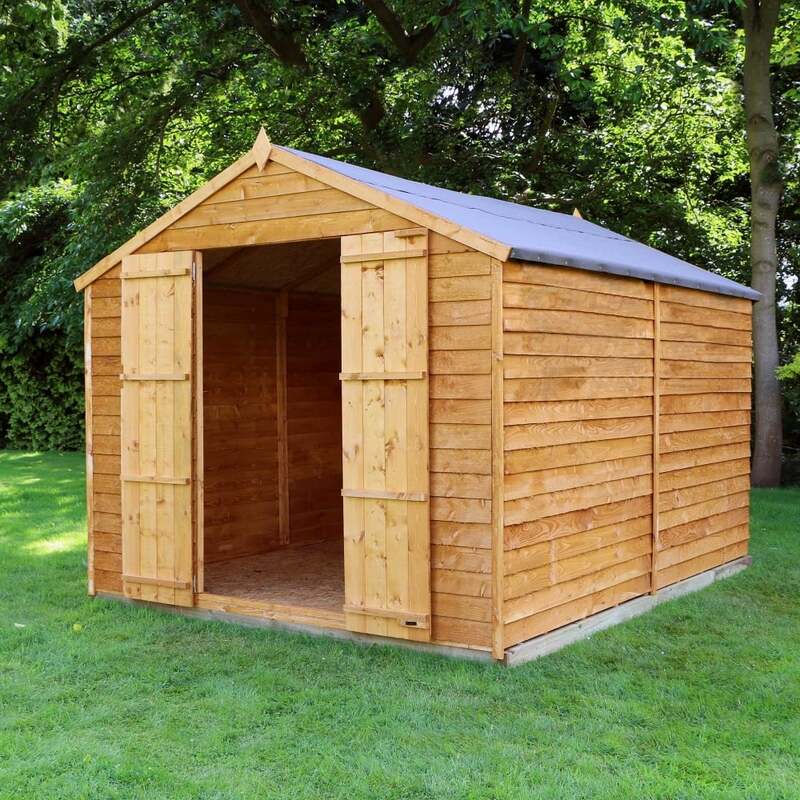 Mercia 12 x 8 Windowless Overlap Apex Shed Double Door: The Mercia overlap apex shed comes in this spacious design ideal for storing all your garden tools, equipment and bicycles. The 12 x 8 Mercia shed features a double door design which makes movering items in and out of the building an easier task. The Mercia overlap shed has an apex roof design to provide added headspace and durable sheet material for the roof and floor. The Mercia 12 x 8 shed is supplied with two rolls of Roseflex shed felt to combat any potential water damage that could be caused by the elements.